To check our actual offers in Ljubljana, please use the white form above. Just enter the desired dates, time and pick-up/return location. The most recent car booking in Ljubljana has been made on our website 4026 minutes ago.. In Ljubljana, we offer for rental 6+ car categories from 8+ rental suppliers. Low prices. OrangeSmile.com offers car reservation service in Ljubljana on the best-rate-guarantee basis, since we work with car suppliers directly. 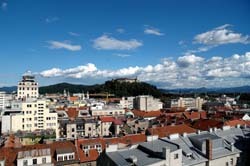 For your dates in Ljubljana, we select and present the best ever possible rental offers. Our car rental process contains 3 simple steps: (1) search for available cars for your dates in Ljubljana; (2) select your car type; and (3) fill in the booking forms. When your booking in Slovenia is completed, you will receive our confirmation voucher to your email address. Your reservation in Ljubljana should be confirmed by a valid credit card. During the booking process, please check your rental conditions. To pick up your car at the rental point in Ljubljana, you need to provide our confirmation voucher, your driving license and a valid credit card. A credit card is necessary for a deposit. In Slovenia, the deposit amount depends on the age of the driver and a type of the rented vehicle. The final payment in Ljubljana is normally performed at the pick-up point. Our car hire points in Slovenia accept VISA, MasterCard, etc - please check your rental conditions. At the pick-up point in Ljubljana, please read the handling manual and check the car for present defects. In case, if some defects are not mentioned in the rental documents, please report back the rental office. OrangeSmile.com wishes you a pleasant journey to Ljubljana! The city is highly recommended to be cruised on foot as in such a way one will have a chance to visit all the significant landmarks and sights of the place and fully embrace the beauty and majesty of Ljubljana. The drivers should take into account that cars are not allowed in some parts of the city. Banks and other government facilities are open from 00 and work till 100 in the evening. Lunchtime is possible during the day. Commonly it lasts not longer than an hour and a half. Saturday is considered to be a shortened working day, meanwhile Sunday is a day off. Traditionally the tips of 10% of total order sum are given in the restaurants and cafes featuring excellent service. Despite of this procedure to be not obligatory the tipping is considered to be good style. International and inter city calls should better be made from street call boxes which accept as token coins so cards (in case of token coins the call box will have the “A” marking meanwhile in case of cards the call box will have “K” marking). One can buy token coins and cards at post offices and news stalls. The cheapest way of city cruising by public transport is a bus. 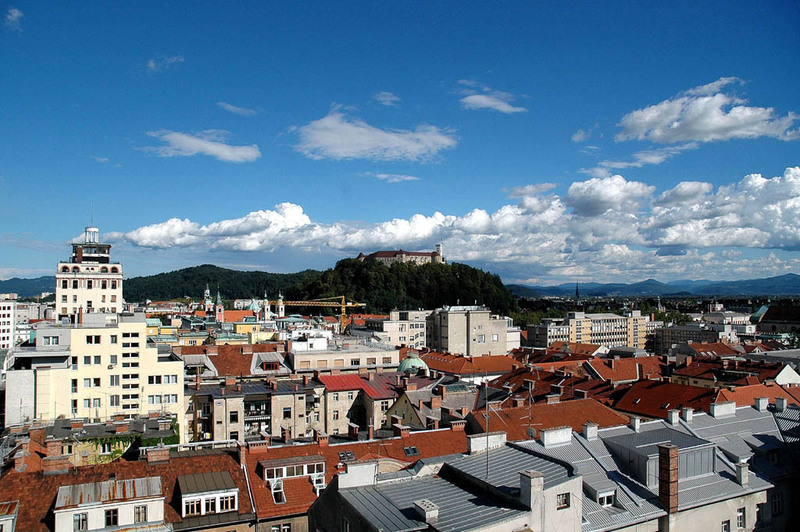 It drives not only through all the districts of Ljubljana but through suburban areas and neighboring cities. The taxi rates are also rather affordable and the taxi should better be called by telephone.